Growth of endometrial tissue on external reproductive genetalia can result in extreme pain and infertility. Surgical removal of the endometrial tissue can reduce pain, but post-surgical therapy is needed for optimal recovery and outcome. Researchers in Russia recently compared three post-surgical treatments to determine which was most effective at reducing pain and psychological impact of the condition. The study involved 216 women with infertility. The infertility span ranged from 1 1/2 to nearly 20 years. All women were treated with surgery, but follow-up treatments were broken into three groups. Group one was given an oral contraceptive for six months. Group two was given gonadotropin injections for six months. Group three was given a combination of gonadotropin injections and radon therapy. 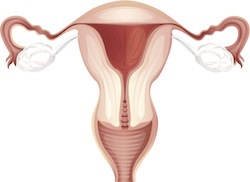 Pelvic pain was initially reported by 90% of women in the study. After treatment, groups one, two and three reported pelvic pain in 20.8, 12.5 and 30.6 percent of cases, respectively. The same results were reported in terms of psychological impact. Initially 90% of women reported psychological impact from the external endometriosis. That number dropped to 27.8, 25 and 30.6 percent of women in groups one, two and three, respectively. Source: No authors listed. The use of restorative medicine technologies for the rehabilitation of the patients presenting with endometriosis of external genitalia. Vopr Kurortol Fizioter Lech Fiz Kult. 2012 May-Jun;(3):26-9.